you deserve a content upgreade! download my free guide to enjoying treats without derailing your nutrition and weight loss goals. This is the simplest, cheapest, and, if I'm being honest, probably least effective. But it does work sometimes to help you deal with sugar cravings. Sometimes when you think you want something sweet, you're really just thirsty. The first trick is to stay well hydrated at all times, especially if you're fighting sugar cravings. Remember: your pee should always be a light colour or nearly clear. Second, when you do feel a craving come on, slowly drink 2 glasses of water. Wait 10mins. See if it passes. Sometimes you just need something to wet your whistle and to give yourself a few minutes to let the intensity of the craving die down. The water can provide that break vs. immediately giving into it. I sort of stumbled on this by accident, and I've since used this trick with multiple clients who struggle dealing with sugar cravings. I'd say it works about 50% of the time. Since apple cider vinegar is inexpensive and has other health benefits, there's no downside to trying this one yourself. When you feel that sweet taste in your mouth, you're salivating a little, and you just can't shake it, sometimes the sour punch of the vinegar is enough to reset your palate. It's a bit jarring if you're not used to it, but that's partly why it seems to work. Try taking one table spoon straight up. Wait a minute, and then try a second if the first one didn't work. Try taking 1-2g of glutaminie in water prior to meals to reduce your carb intake. Or, if you're in the midst of a post-meal sugar craving, take 2-10g (split the diff and start with 6g) of glutamine with coconut oil/coconut milk/heavy cream (basically a fat based liquid). 1-2 Table spoons of coconut oil should do it (you can melt it in the microwave) or about a shot glass of coconut milk/cream. Coconut milk is probably the best option here. There are many gluatmine supplements. Just find something like this without additives. One scoop is usually around 5g, so 1-2 scoops per craving. Glutamine also comes labelled as L-glutamine... it's the same thing. And if one didn't seem to be enough, you could go back and have another shot or two as needed. Just space them out by 15-20mins. Dealing with sugar cravings tip #4: Are you Eating Enough? Sometimes we get cravings for sweets when we drop our daily calorie intake too low, or if we didn't eat much during the day (skipped lunch, light breakfast), and we're ravenously hungry in the evening. The first scenario can lead to sugar cravings as a mechanism to get more energy. Be careful of crash diets that suggest major food restriction. A gradual approach tends to be more stable. The second situation generally leads to more cravings in the evening, overeating at night, and making less than ideal nutrition decisions as you quickly gobble up everything in sight after a long, exhausting day at work. 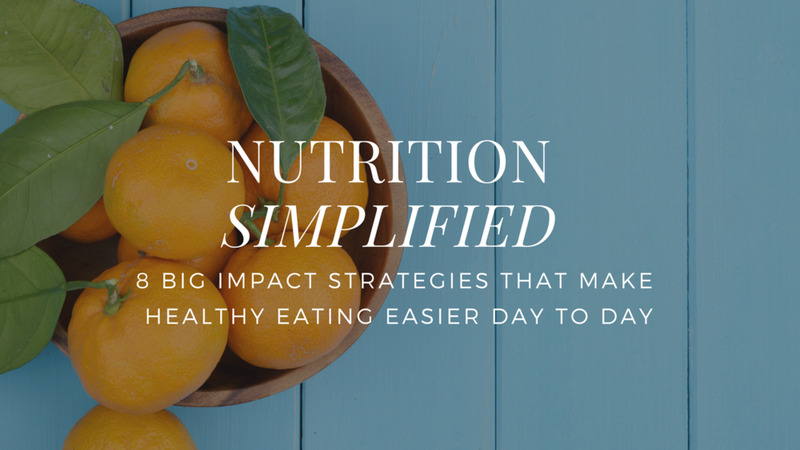 The solution is to plan ahead and eat healthy meals during the day. Dealing with sugar cravings tip #5: Are you Sleeping Enough? I've written about this (and other key sleep information) here, but when you are under-slept, even for one night, you will crave sugar more. The body wants more energy and sugar has a slight stimulant effect that it desires. The extra bad part is this: the less sleep you get, the worse your ability to process sugar. More of it will go to fat storage. In fact, studies repeatedly show that sleep deprivation leads to a change healthy people's ability to process sugar more. Essentially you become closer to a diabetic or pre-diabetic. That's not awesome, so get your Z's. download my free guide to enjoying treats without derailing your nutrition and weight loss goals. The other option is to go 2-3 weeks with zero sugar. Z-E-R-O. Strict. Although this is probably not a viable long-term solution for most, and I usually don't advocate for an all or nothing approach, if you're dealing with severe sugar cravings it can work. Sugar is addictive and our brain loves the hit it gives us. In my experience, it takes most people 2-3 weeks to get off the sugar roller coaster, and reset. The first week or two can be rough. If you're a real sugar addict, expect some headaches and grumpiness. You can check out this (at times) hilarious and relateable video of people who gave up sugar for 30-days to get a sense of what you're signing up for.